I’m serving soup as my first course for Thanksgiving. I didn’t want to make butternut squash soup like everybody else serves (not to mention that I already have two recipes for butternut squash soup on this blog: Anti Inflammatory Soup and plain old Butternut Squash Soup) so I decided to use more of my CSA apples and make a slightly curried apple soup. I made the soup and although it tasted really good, there was only one problem. The soup only made 6 cups and that’s a little too little for my 8 or maybe even 10 guests. I looked around and saw I had some leftover cooked butternut squash from the other night. I diced it and added it to the soup. Now I have 8 cups and it looks nice having little floating pieces of squash. 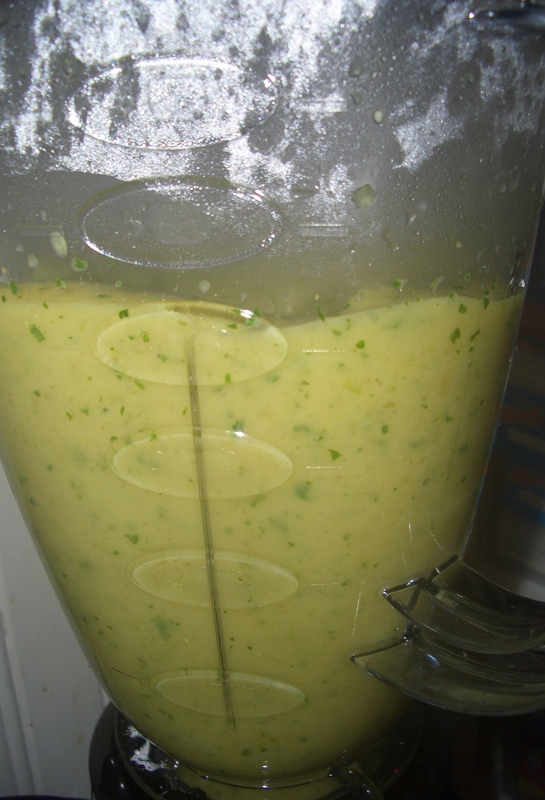 Of course I can never leave well enough alone so I decided to see what it would taste like if I just pureed it…FABULOUS! So I guess I’m serving Butternut Squash Soup this year – like everyone else. 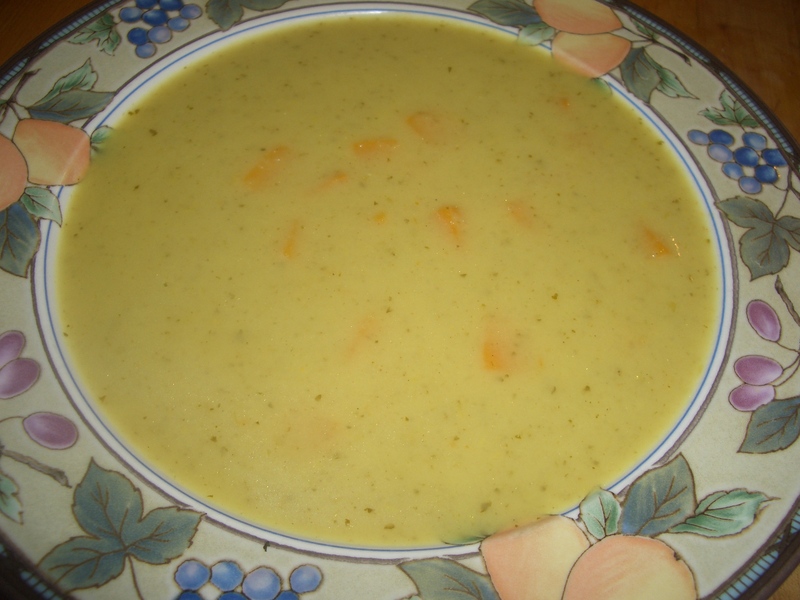 On the off chance that you are having less than 8 guests, the original apple soup is a really unusual and delicious choice. 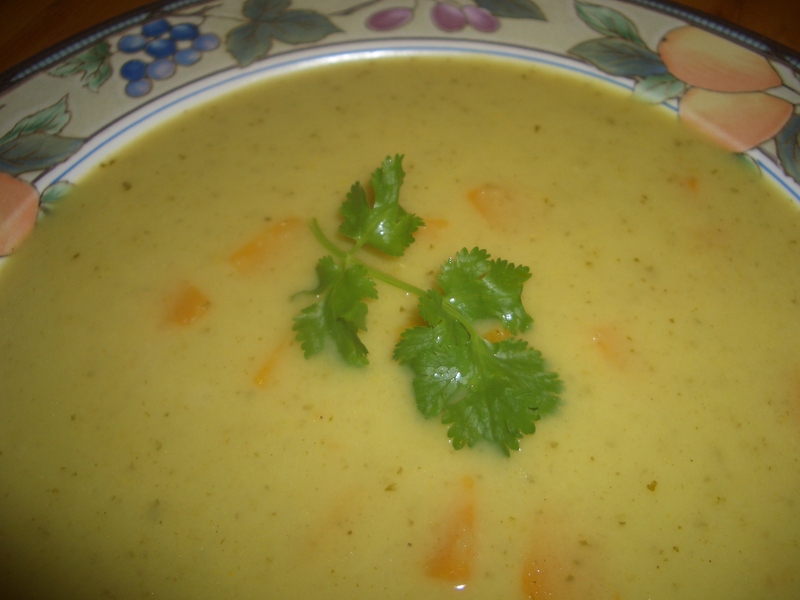 This soup freezes beautifully so you can make it well in advance of Thanksgiving, then just defrost and heat on the big day. 1. 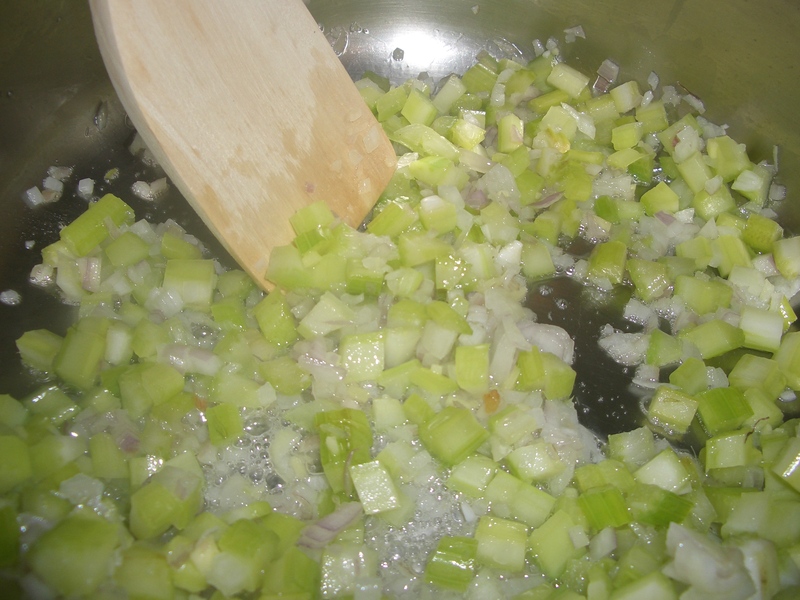 In a 3-quart saucepan, heat the oil over medium heat. 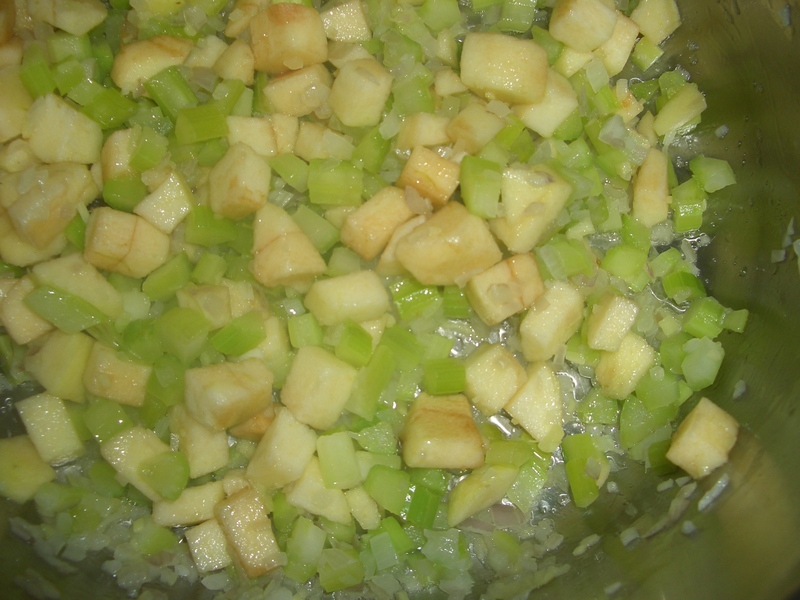 Add the celery, shallots, and ginger (if using fresh); cook, stirring, until softened. 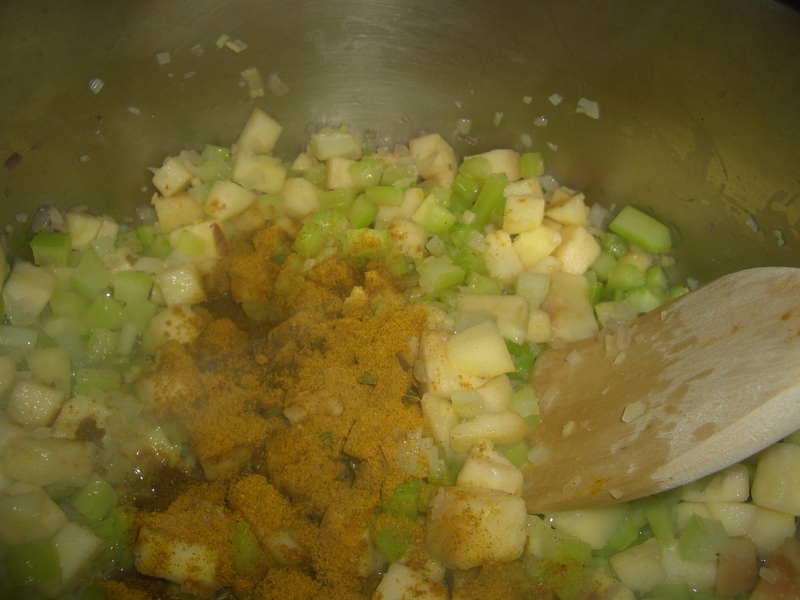 stir in curry powder (and ginger if using ground) until absorbed. 2. Stir in the broth, coconut milk, juice, sherry, (raw) butternut squash (if making butternut squash soup) and sweet potatoes; bring to a boil. 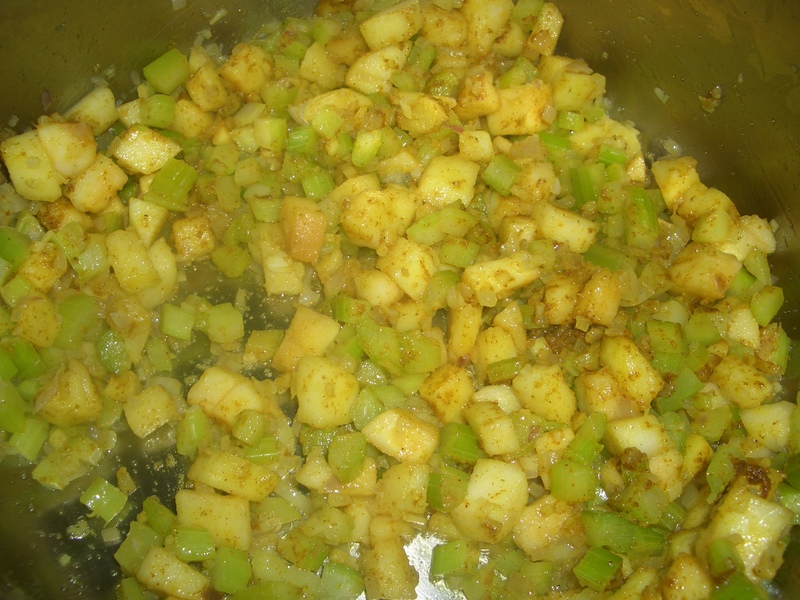 Reduce heat and simmer, covered, 25 minutes or until squash and potatoes are soft. 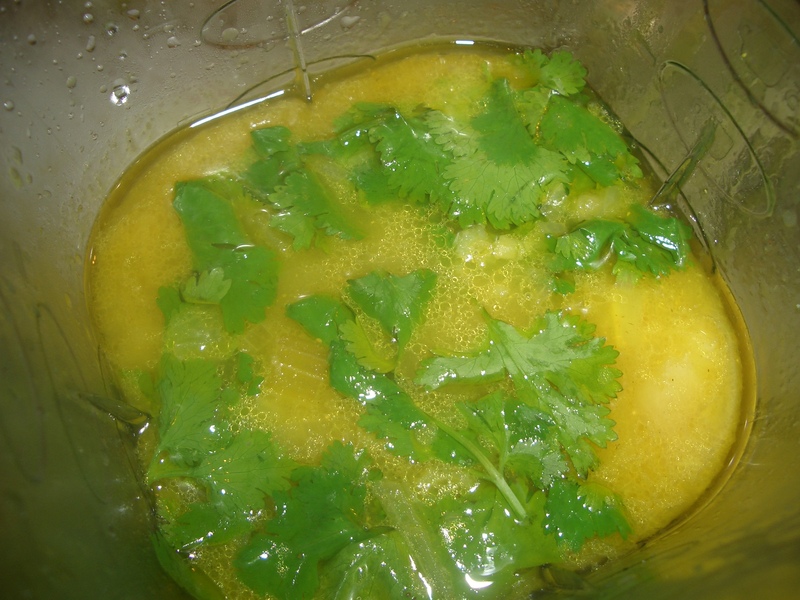 Place soup, cilantro, salt, and pepper into blender container or food processor fitted with steel blade and process, until smooth. If necessary process in two batches. 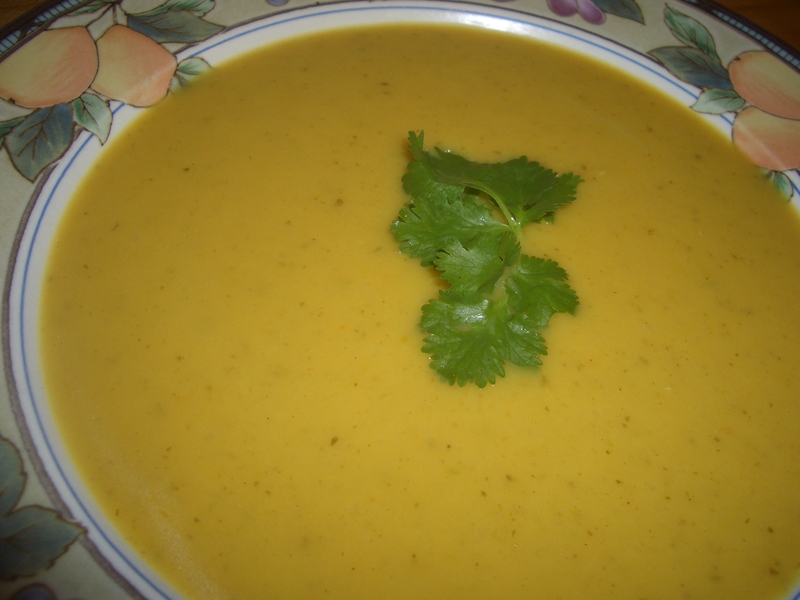 Return soup to pot and (add cooked butternut squash if making apple soup with squash pieces) reheat if necessary. Pour into bowls. 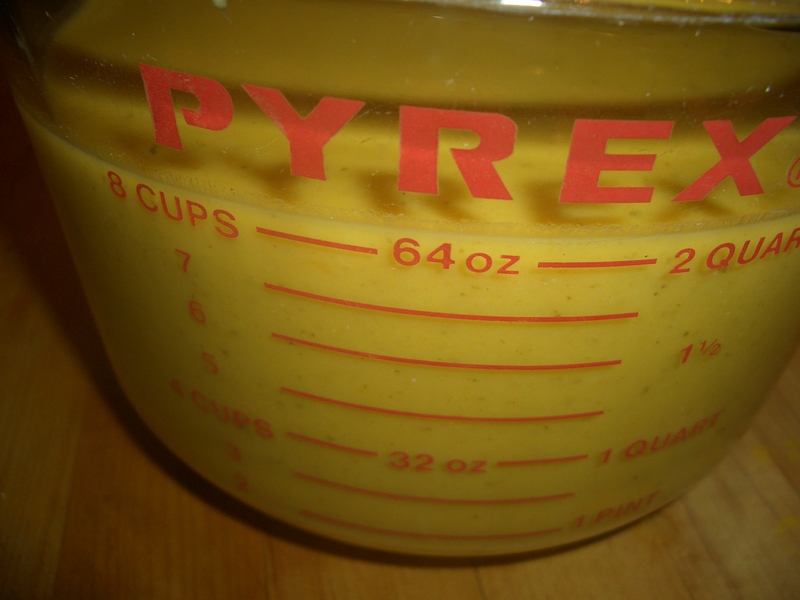 I roasted a little bit of the squash to chop as topping… delicious. 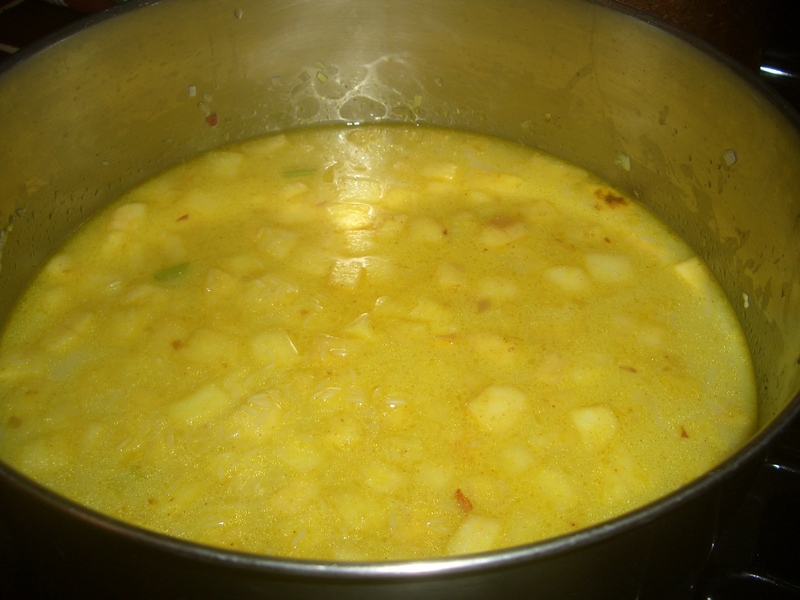 Fantastic recipe and fills the kitchen with delicious aroma. YUM.